Asking Price: £800 (free worldwide shipping). Click the POA button below to place your order. 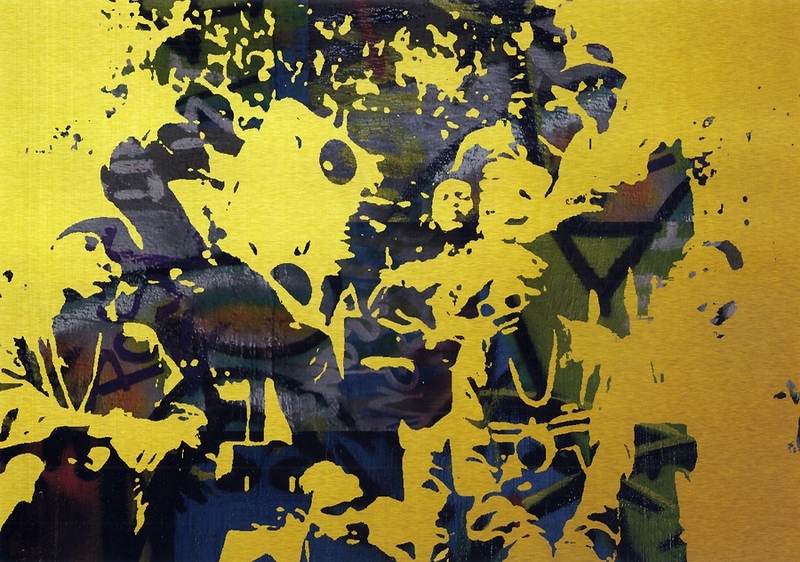 In 'Golden Era', golden three-dimensional figures in traditional b-boy, hip-hop stance are laid over a second collage of paint and graffiti colours.